I’ve spent 2017 embracing the hygge trend that’s been sweeping the Internet and my life has been so much richer. I think we can all agree that this year has been quite a roller coaster ride. I know I’ve needed a comforting home sanctuary now more than ever. Fortunately, I’ve found that a cup of tea and a candlelight bath can soothe almost any stress away. Looking for a Little More Hygge in Your Life? Sign up now for the free Midlife Rambler 7-Day Hygge Challenge. Every day you'll receive an easy tip in your inbox to help you add a bit of comfort and coziness to your day. Thanks for signing up! Check Your inbox for your first challenge now! So, I’ve decided my theme for the 2017 Holiday Season is Hygge Everything! My friends and family are going to all receive a gift designed to make 2018 the coziest year ever. Here are a few of the gifts I’ll be handing out! 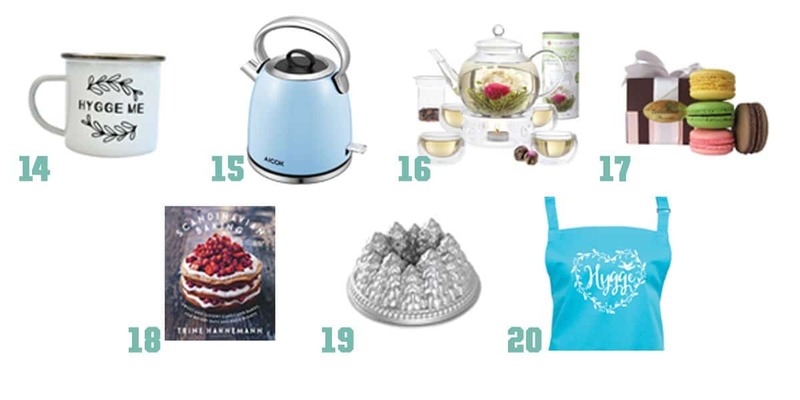 Nature is a calming influence so here are a few gifts to help bring the outside indoors. A beautiful bay & rosemary wreath. Elegant hanging planters for succulents and air plants. Tree Branch candle holders for lighting up the long nights. This scented candle smells like a walk in the forest. There’s nothing more relaxing than a warm, indulgent, luxurious bath. Why not create a care package with bath supplies to create the perfect bath. A bathub tray that fits any tub and holds your book, your phone, your candle and your glass of wine! You’ll basically never need to leave the tub again. A bath pillow so for leaning back and relaxing. A beautfiully scented set of bath bombs so you can engage in aromatherapy and moisturize dry skin at the same time. Fleece pajamas to ward off any chills when bathtime is over. There’s nothing more important to the hygge experience than a nurturing home environment. These gifts will turn any home into a cozy haven. This curtain of fairy lights will make any home feel magical. A beautiful candelabra to cast a glow over the whole room. A cozy knit throw to curl up on the couch with. A knit pillow to cuddle with or snooze on for a bit. An old school record player for listening to soothing music on dark nights. It’s important to the hygge lifestyle to set aside time for “fika” – getting together for coffee or tea and comforting baked goods. 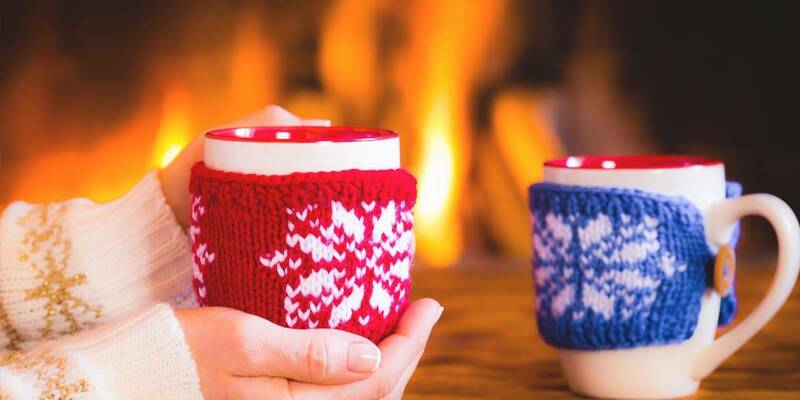 These gifts help create convivial moments to share with others – the very essence of hygge. Hygge mugs to warm up with hot chocolate with marshmallows after a long walk. This super-cute cordless teakettle so you never have to wait for water to boil on the stove. Or how about a blooming tea set that will leave your guests gasping in awe. Of course, you’ll want some macarons to dip in your tea. This gift set comes wrapped with a cute bow. There’s nothing more hyggelig than creating delicious baked goods. Whip up some authentic Scandinavian comfort food with this cookbook. This pine forest bundt pan will make even the simplest recipe seem special. You can’t bake authentic hygge baked goods without an authentic hygge apron! When the days are grey and cold, your clothes have to work extra hard to keep your spirits bright and your body warm. Fun Nordic socks to keep your ankles warm during those walks in the woods..
A Fair Isle sweater that’s perfect for holiday get togethers. Or how about a soft, flattering cashmere sweater? And, everyone needs a nice warm knit cap that comes with a matching sweater for their dog or cat. That’s right, I said matching sweater for your dog or cat. Best gift ever! I can’t think of anything cozier than looking at beautiful pictures of lovely people doing comforting things. I’ve created an Amazon list of all the best hygge books that are perfect for whiling away a winter evening. I love your gift choices and the Hygge mug warmers are adorable!